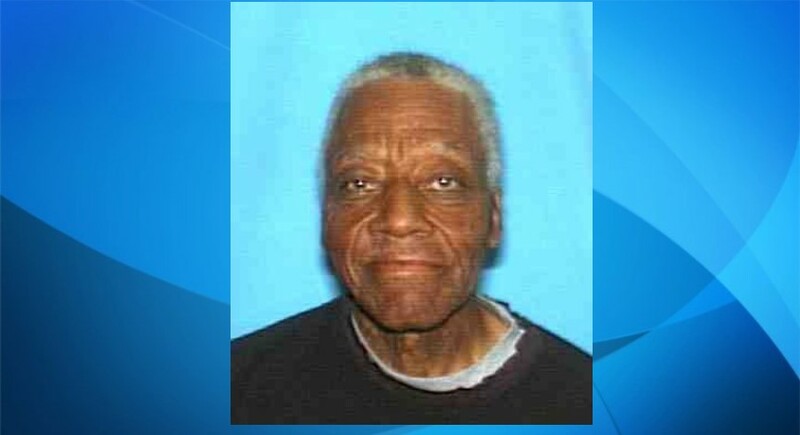 LANCASTER – Sheriff’s detectives are continuing their search for an 81-year-old man with Alzheimer’s disease who went missing in Lancaster on Friday. 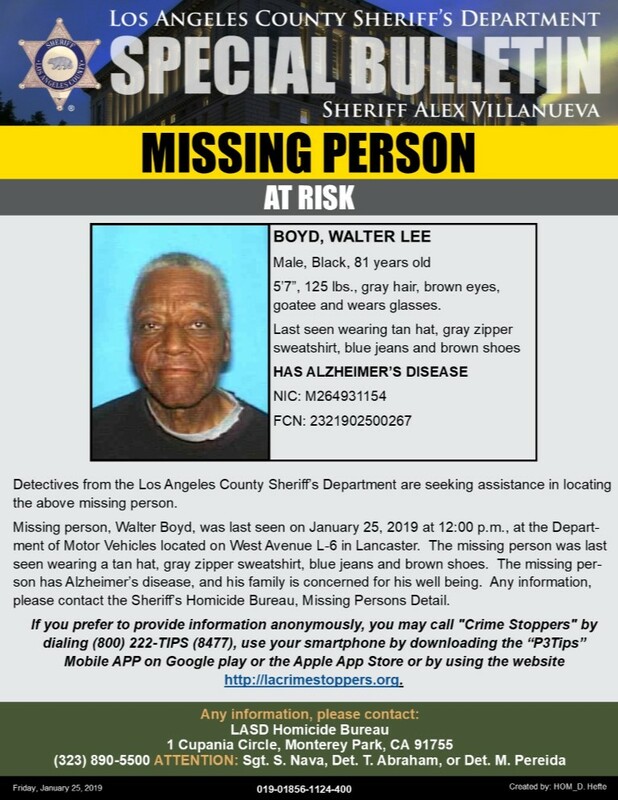 Walter Lee Boyd of Lancaster was last seen about noon Friday, Jan. 25, at the Department of Motor Vehicles office on West Avenue l-6, according to the Los Angeles County Sheriff’s Department. Boyd is black, 5 feet 7, 125 pounds, with brown eyes, gray hair and a goatee. He was wearing a tan hat, gray zipper sweatshirt, blue jeans and brown shoes when he was last seen. Anyone with information regarding Boyd’s whereabouts is encouraged to call the sheriff’s Missing Persons Unit at 323-890-5500 or 911. Tipsters can also call Crime Stoppers at 800-222-TIPS.